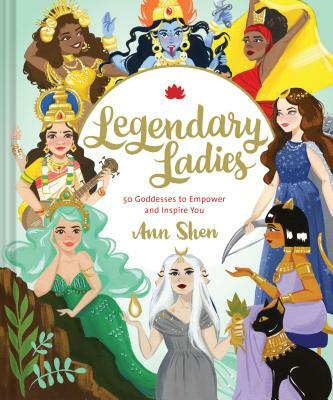 Goddesses from mythology: Goddess mythology from our past are celebrated in this lushly illustrated goddess book by Ann Shen, the author and artist who created Bad Girls Throughout History. Ann is an illustrator, letterer, and author based in Los Angeles who has created artwork for a number of publications, campaigns, products, and galleries. Unique alternative to Goddess tarot cards or other gift items: Ann Shen's signature watercolors make Legendary Ladies a unique, gift-worthy homage to the mighty women within.